Publisher Ubisoft brought us up to speed on its financial performance today, tallying up first-half sales of €344.5 million ($443 million USD). 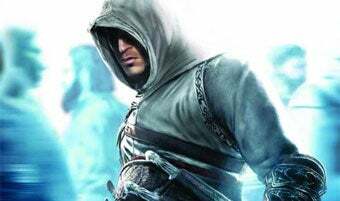 CEO Yves Guillemot also confirmed that the next Assassin's Creed was in development. That shouldn't come as a surprise, considering the financial success of the original Assassin's Creed. The game sold an estimated 5 million copies over the past year. Still, Guillemot's assertion that someone, somewhere at Ubisoft is "working hard on the product" is comforting.Assassin's Creed producer Jade Raymond is rumored to be working on a new property, I Am Alive, with bearded Creative Director Patric Desilets working on ... something. On the financial front, Ubisoft reported €24.7 million ($31.7 million USD) in operating income. That's almost twice what the publisher did during the same period last year. It says that early sales of both Rayman Raving Rabbids TV Party and Shaun White Snowboarding have been "solid," with the former "outperforming expectations." Ubisoft similarly called early sales of Tom Clancy's EndWar "slower."